Before joining the program, I worked as a housemaid and supported my husband in renting a motorcycle to transport passengers. We were both orphans and grew up in poverty. That brought us closer. My name is Esther Nyirangirimana. I am a graduate of Women for Women International’s program in Rwanda and the mother of four children. Before joining the program, I worked as a housemaid and supported my husband in renting a motorcycle to transport passengers. We were both orphans and grew up in poverty. That brought us closer. In 2008, I heard about Women for Women International providing vocational skills to vulnerable women in my community. I got curious and wondered if I could join the program. After a year, I was selected and enrolled. Esther with her children. Photo by Women for Women International staff in Rwanda. During the social and economic empowerment training, I learned important skills. I decided to learn tailoring. When I graduated, I joined a group of women from my class and we decided to work and earn money together. We received many tailoring jobs from our community. We earned a profit of about $100 each. I invested that money into buying my own sewing machine. After a while, I joined a local social enterprise for handicrafts where I learned various technical skills in advanced tailoring and product making. This gave me the skills to produce higher quality clothes and earn $70-$90 USD every month. I even opened a savings account at a bank, something I had never imagined. Encouraged by my success, in 2013, I started to work independently. I took my products to exhibitions and overtime, my business flourished. I earned enough to purchase pieces of land in my town for investment and to build my dream house. In 2015, Women for Women International contacted me and offered the position of a tailoring trainer. Through my new job, I can not only help other women in my community and give back, but also earn and save enough money to buy two more houses. I am renting those houses out for additional income. In addition, I helped my husband, who was a day laborer, get a proper driver’s license to get a permanent job. My family is finally able to afford health insurance and my children can pursue their studies in decent schools without worrying about being terminated due to financial problems. I want to expand my career by increasing my equipment and employing others in my community. From the bottom of my heart I thank Women for Women International staff for taking care of me like their own daughter. They helped me survive, provided countless services to train me, and took it beyond what my parents or relatives could do for me. I became who I am now, all thanks to Women for Women International. Esther Nyirangirimana’s story was told with help from Soyoung Lee, Women for Women International’s volunteer in Rwanda. 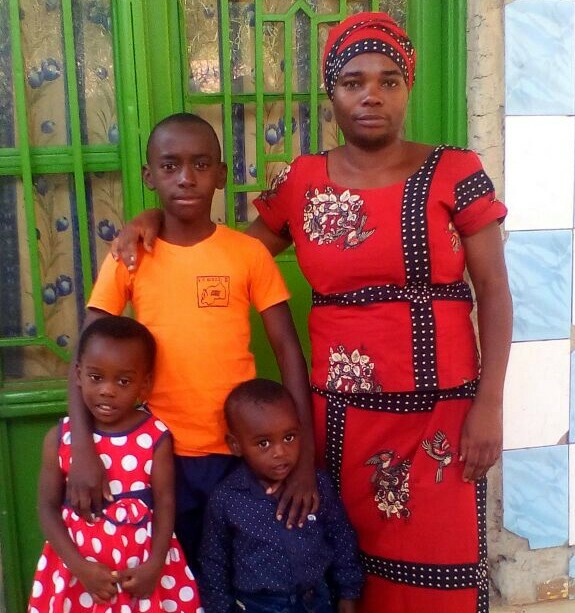 Click here to support a woman like Esther as she rebuilds her life after conflict and lifts her family out of poverty.